In April, a realtor went into an abandoned one-story building in Houston, Texas, that had once been used as a tire store. 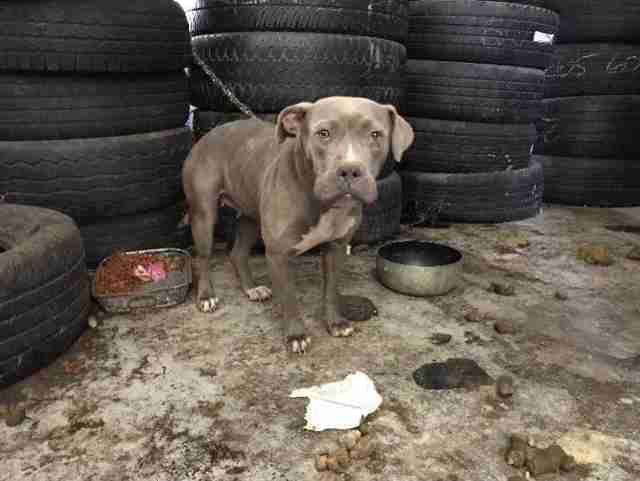 But when she had a look around, she found something she didn’t expect — a skinny pit bull was chained up in front of some old tires, and it looked like she’d been there for a long time. 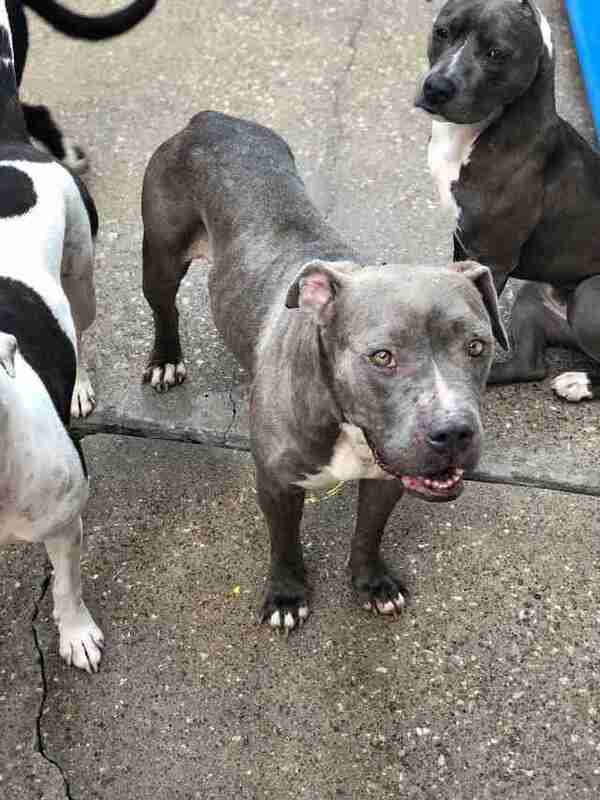 News of the dog spread across social media, eventually reaching Fern De Santos, an independent dog rescuer in the Houston area. Thankfully, the realtor was able to meet De Santos and let her inside the building to show her where the dog was. Whoever had abandoned the dog had left a bowl of food and water, but both bowls were nearly empty. When the realtor poured half a gallon of water into one of the bowls, the dog gulped it up. The room also seemed to be filled with toxic fumes — so much so that De Santos got light-headed, and she wondered how the dog, now named Hermosa, had managed to survive in there. De Santos had gone to get Hermosa in such a hurry, she didn’t even have a leash on her. So she grabbed a piece of cord that was lying on the ground, and gently looped this around Hermosa’s neck. Once De Santos got Hermosa out, she had a better look at her. 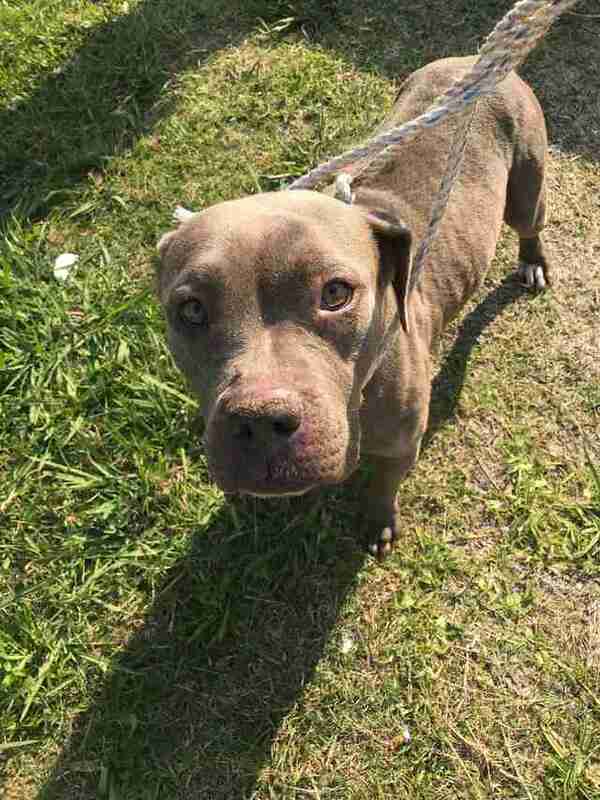 The pit bull was emaciated, her belly was bloated and she was losing fur in clumps. De Santos could also see that she’d had at least one litter of puppies. De Santos took Hermosa home with her until another rescuer, Denisse Chueca, picked her up. 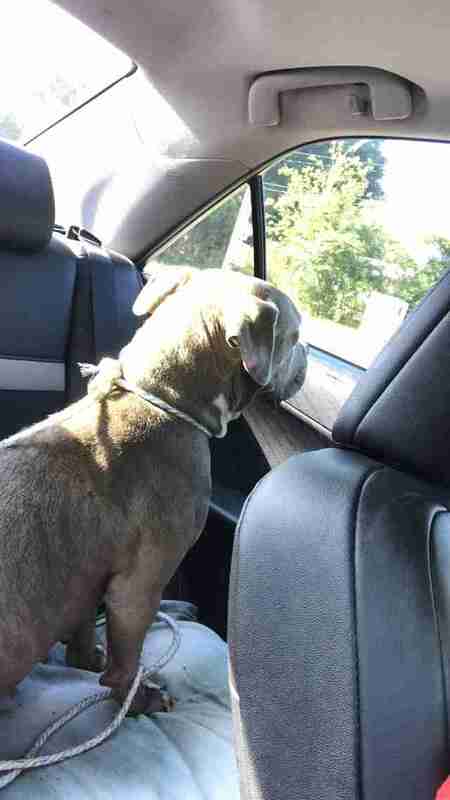 Chueca drove Hermosa to the vet the next morning, then delivered her to A Chance to Bloom Dog Rescue, the group that’s currently caring for Hermosa until she finds a forever home. 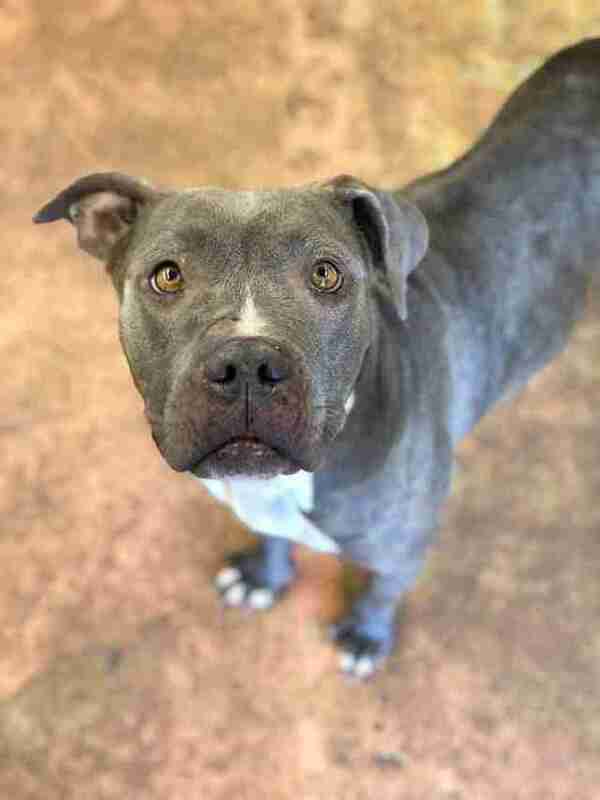 Barbara Zuluaga, a board member of A Chance to Bloom, explained that it’s sadly common to rescue dogs who have been chained up and abandoned. The team at A Chance to Bloom is determined to give Hermosa the best life possible, and they’re doing everything they can to help her move forward. But Hermosa quickly shed her insecurities. Within a month, she’d blossomed into a confident, happy dog. 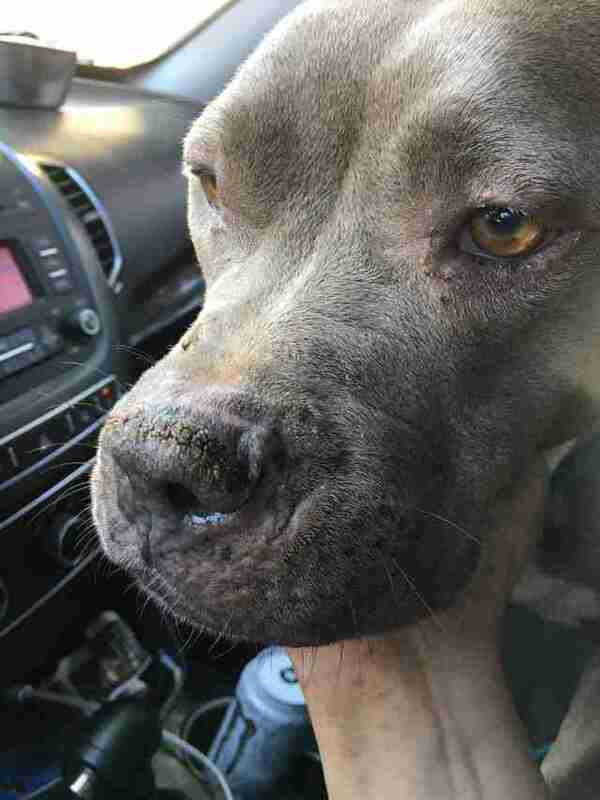 If you’re interested in giving Hermosa the forever home that she deserves, contact A Chance to Bloom Dog Rescue.